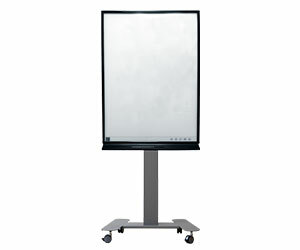 HANSHIN eNote Flip-Chart is an electronic flip chart, which able to directly / indirectly connect to any mobile devices. 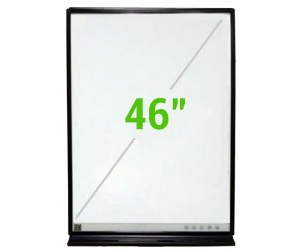 Using a regular dry erase marker, all notes written on eNote Board can be shared, saved and edited in seconds on your mobile phone / tablet. Support IOS & Android. 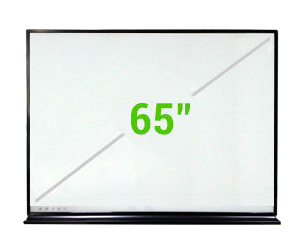 Easy to set up with no IT integration required. 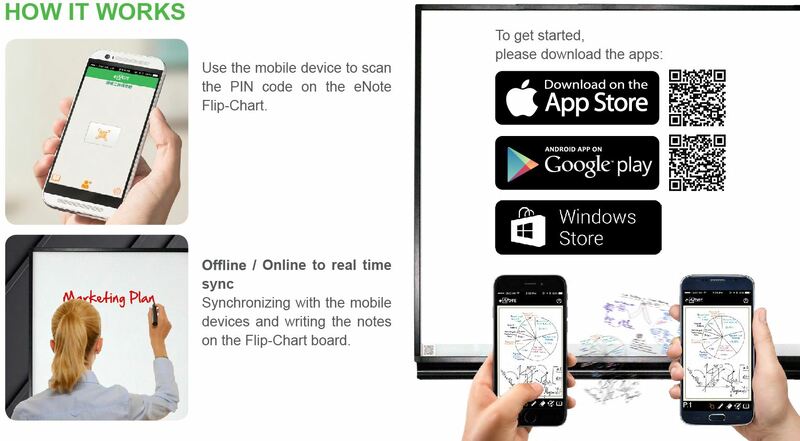 Hanshin eNote Flip-Chart digitally capture, save and share your whiteboard notes. 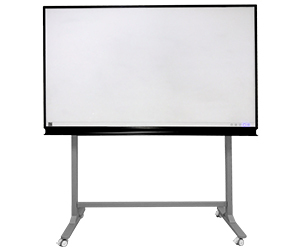 What you see on the eNote Flip-Chart is synchronizing with the mobile phone, tablet or PC. 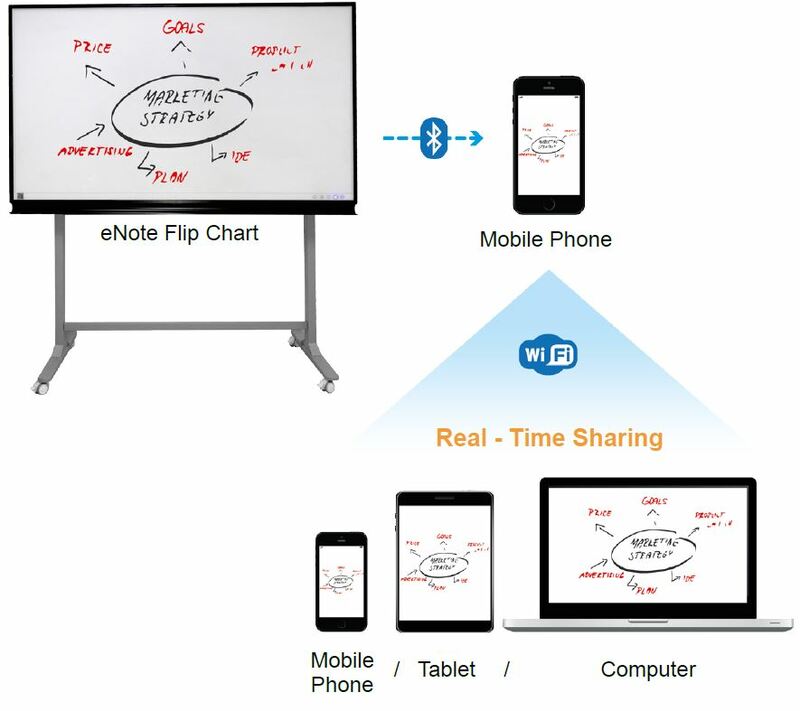 eNote Flip- Chart App lets user add private notes to the shared content on the mobile device, allows user to create its own notes. Real mobility by connecting with a portable power bank. 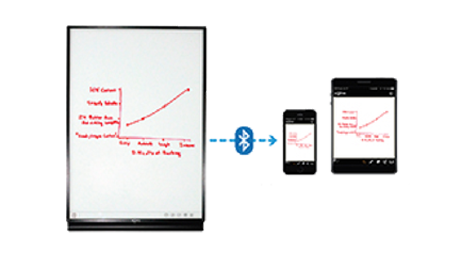 Create your own library on your mobile phone in eNote Flip-Chart App. Save, WhatsApp & email the notes as PDF or JPG. PIN Code Protect sensitive work with encrypted connection. 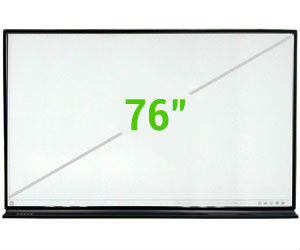 Flip-Chart board and Multi-Touch Panel.